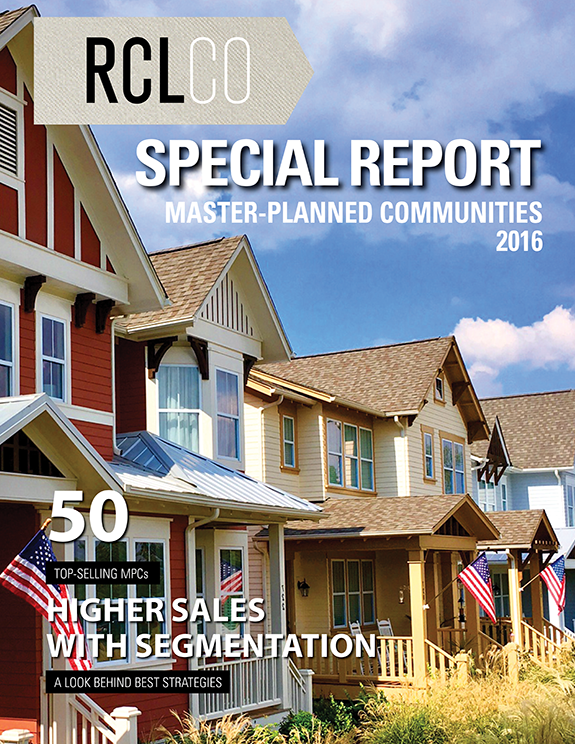 Many of the communities in RCLCO’s 50 Top-Selling Master-Planned Communities (MPCs) of 2016 cited their product segmentation strategy as one of the reasons for their high-volume sales success. 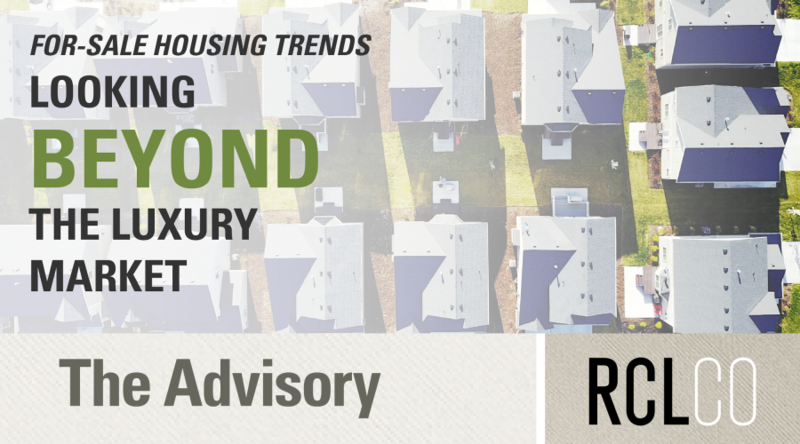 In this third edition of the Advisory series on the top-selling master-planned communities, we explore how segmentation strategies are conceived, the challenges developers face in implementing them, and some innovative examples. 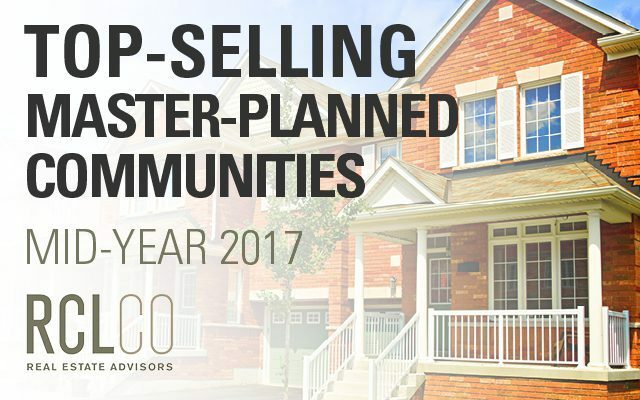 Top-selling communities are launched with a well-thought-out strategy based on research and analysis of the home types and prices to be offered in their community, the competition, and target-buyer preferences. Nevertheless, product segmentation remains a moving target throughout the life of the community. Although rooted in a vision, MPCs that stand the test of time have flexible master plans that are sensitive to their environment and responsive to the lifestyles of their residents. Product and market niche opportunities evolve over the life of the community, and the developer’s success with implementing the strategy is influenced by exogenous factors such as development costs and the degree of cooperation with its builder partners (who sometimes stray from the script). The top communities use a variety of knowledge and information resources to identify underserved market and product gaps. Identifying and filling these gaps leads to superior outcomes in terms of pricing, absorption, and market share, but it’s a challenging process that requires monitoring and adjustment along the way. 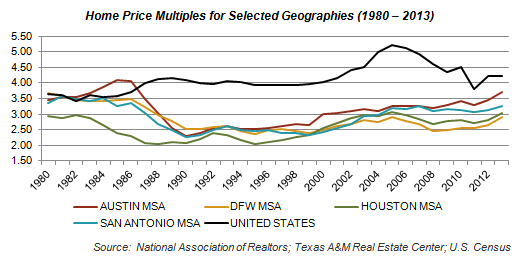 Land prices may make it difficult to implement broader price segmentation even when the demand is there. 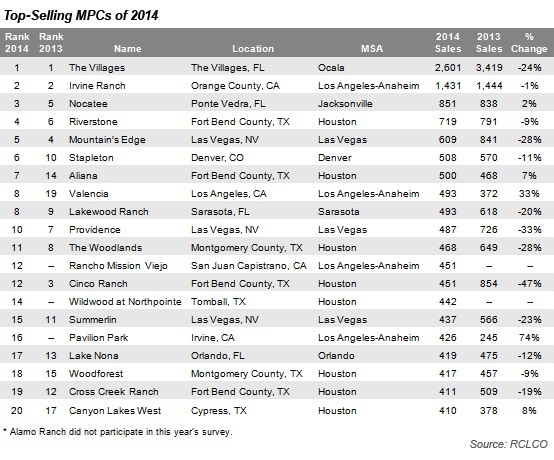 Although the emerging millennial buyer is clearly an opportunity, many communities still struggle with how to accommodate more attainable price points. Even when all the research points to specific feasible opportunities, some developers encounter resistance from builders who are accustomed to doing things a certain way. 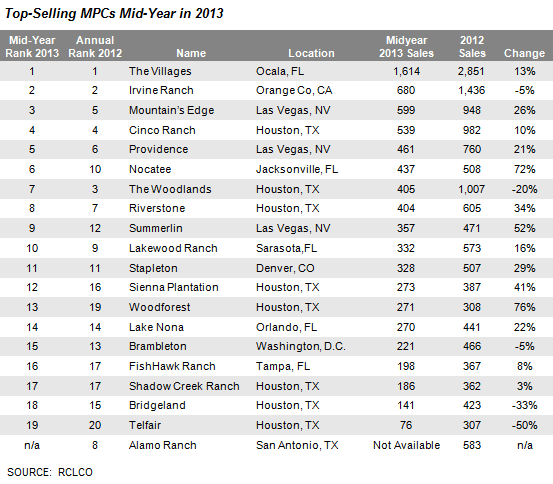 Nonetheless, as demonstrated by many communities in RCLCO’s Top 50, a great segmentation strategy can be rewarding. 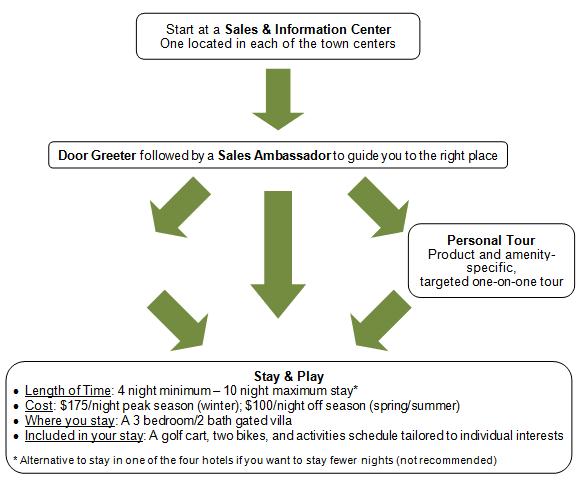 Each line on the chart represents an individual product program. Products can overlap in size yet hit different price points due to differences in finish levels, lot sizes, location in the community, and target market audience. Each product line may represent anywhere from 18 to 40 sales or more per year, with the number of points of sale highly correlated to total annual sales in a well-segmented community. 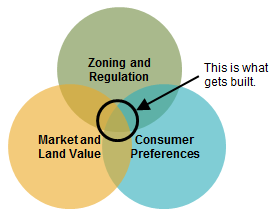 Segmentation strategies are conceived with the end users in mind, but the multiproduct community developer’s customer is the home builder, who buys lots from the developer to take advantage of the developer’s investments in place-making and amenities. 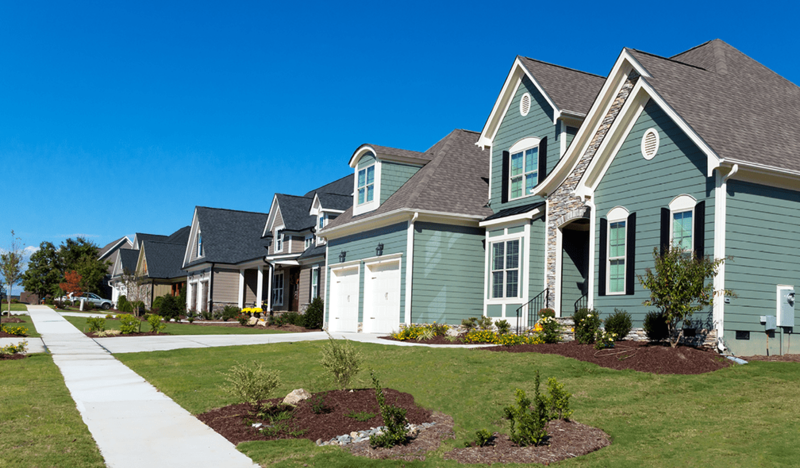 The builder’s preference is to have a protected niche within the master-planned community to more easily capture buyers seeking a residential product, price, and lifestyle. 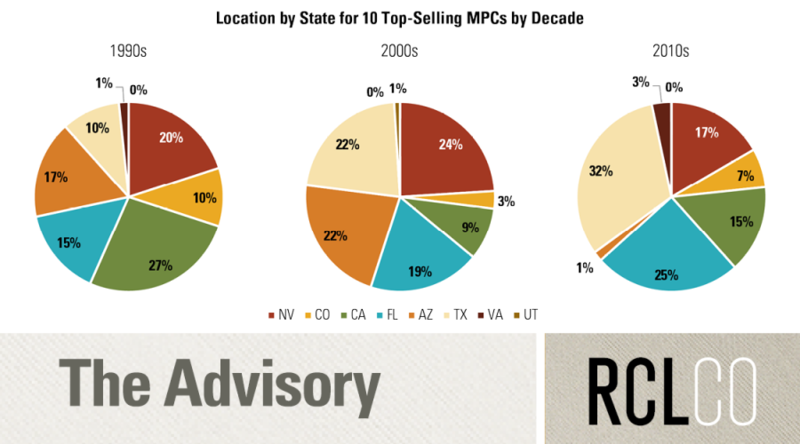 The successful segmentation program provides some protection for the builder by targeting specific opportunities and managing competition within the MPC while also seeking to maximize consumer appeal and choice. 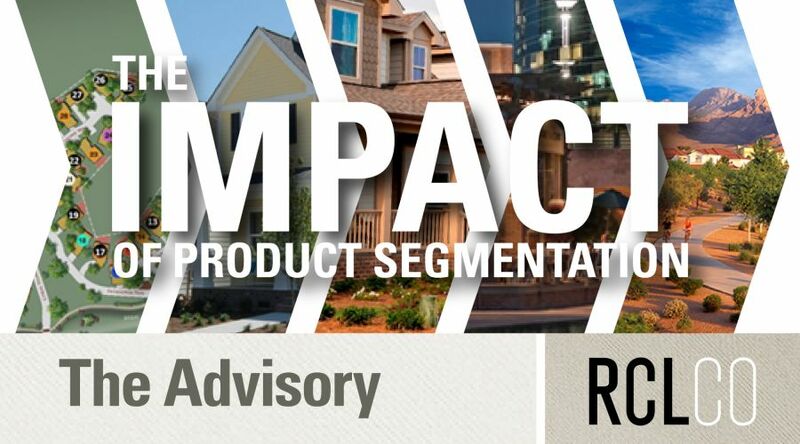 The most successful segmentation strategies include residential product lines that are differentiated from one another, not just by price and size, but also by the unique purchase motivations of diverse consumer segments. When well executed, there can be multiple variations on a theme that increase overall market penetration and total sales velocity. 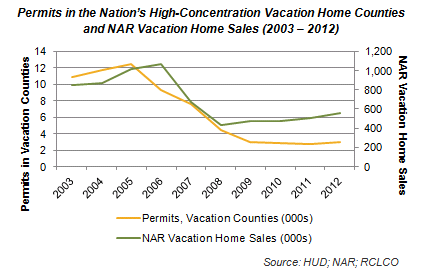 Relative to the variety of home types and size ranges, there will be some home-size overlap between product lines. For example, the consumer may have the choice of buying the largest of the entry-level product line, or the smallest of the move-up product line, among other options and choices. This creates a reasonable level of competition, even if there are only one or two builders in a product niche. 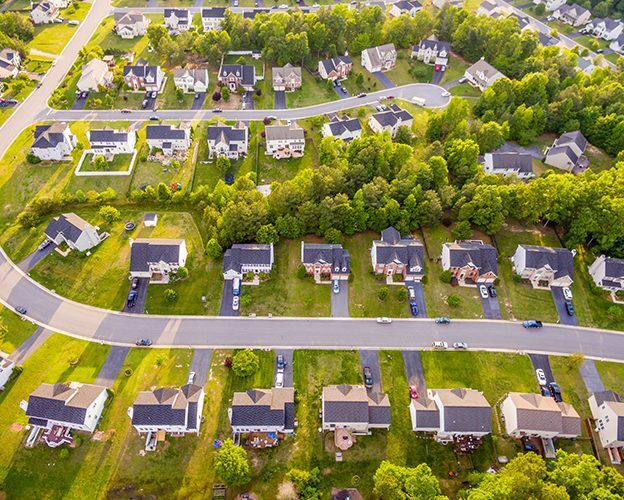 Developers find that if builder competition is well managed it helps drive product innovation, assuming the market is sufficiently deep to ensure each builder garners sufficient sales to justify its investment in the community. 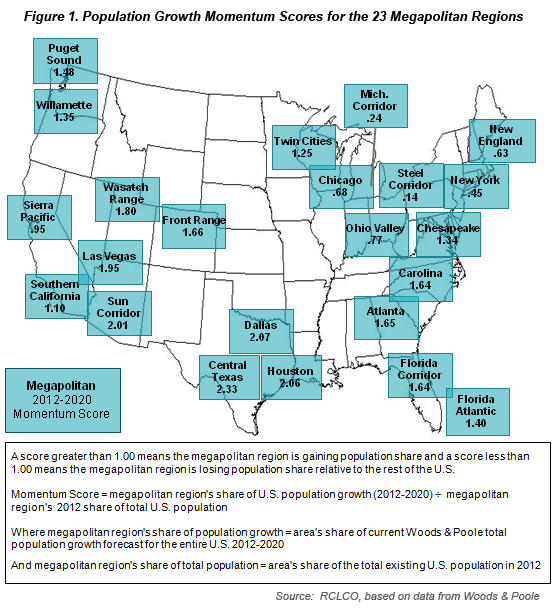 Some overlapping of lot and home sizes may work out fine if other differentiators are present. 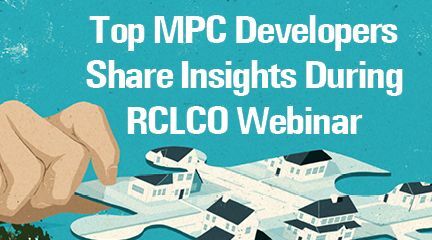 A top master-planned community developer in Texas recently acquired an established, successful MPC, and challenged RCLCO to help create a segmentation strategy to further increase sales. 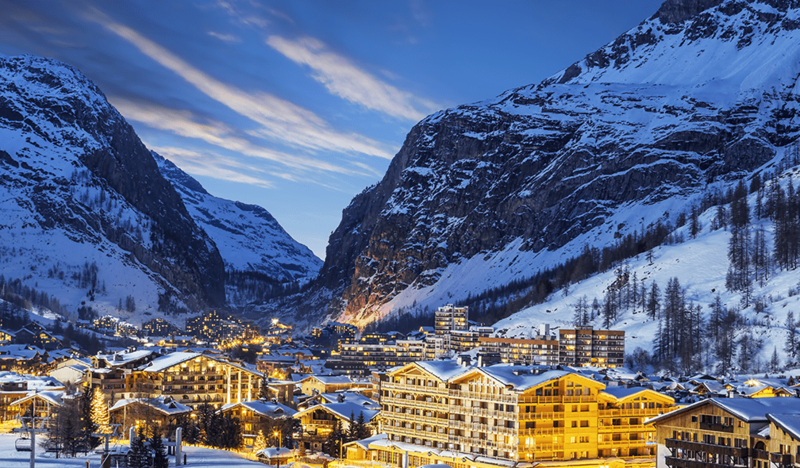 The community was already achieving about 400 sales per year, so this was no small task. 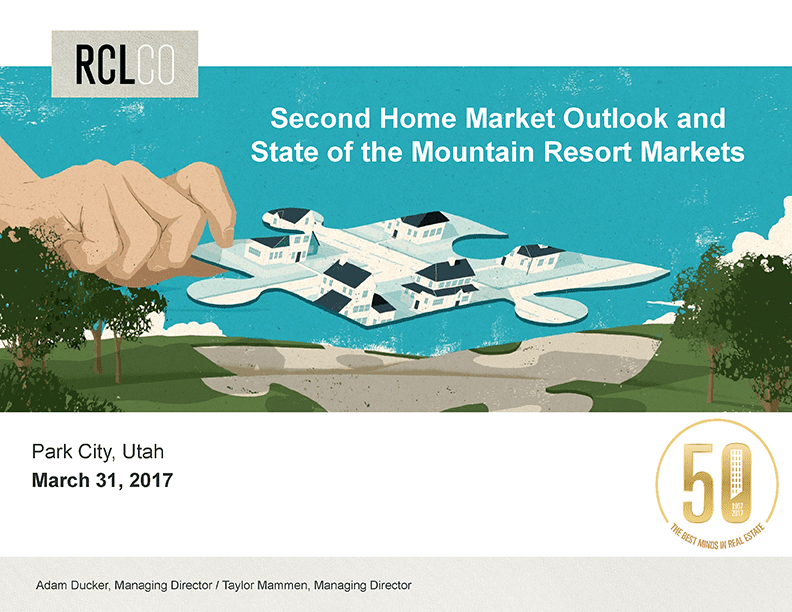 The developer asked RCLCO to help them further diversify the product mix to increase overall sales without negatively impacting any existing product programs. 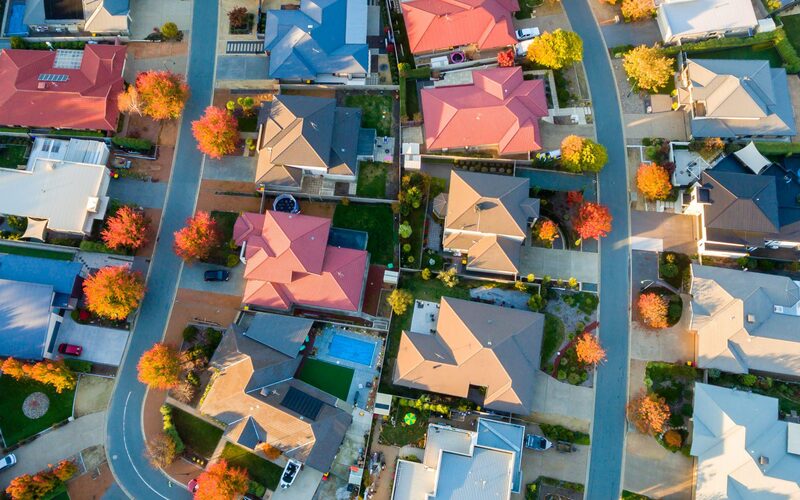 To accomplish this, an analysis of 10 distinct homebuyer segments currently active in the market was conducted, identifying which of these buyer segments were under-represented in the community, and comparing current product offerings with the potential demand from these homebuyer segments. 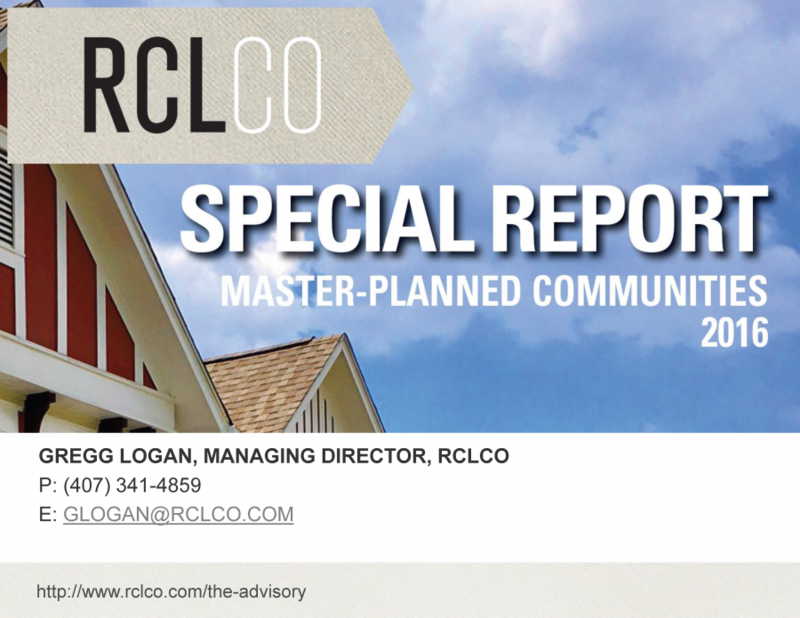 RCLCO found that although the community offered a broad range of products, some buyer segments were under-represented in the community relative to their presence in the active market. 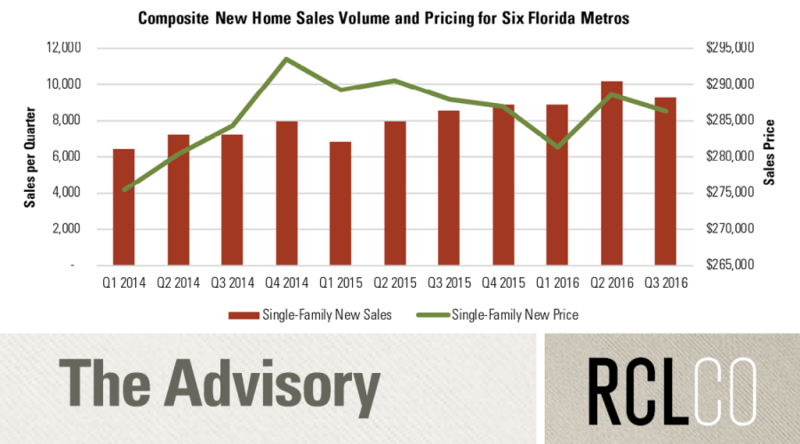 To enhance the community’s appeal to these buyer types, specific additional product opportunities that have proven successful in similar environments were identified and recommended. Over the next five years these new products are expected to increase sales by as much as 50%. RCLCO’s previous experience with segmentation strategies at Summerlin in Las Vegas, and The Woodlands in Houston, demonstrate that such results require thoughtful execution but are achievable. A well-thought-out segmentation strategy does a good job of aligning specific product lines with consumers’ lifestyle needs—not just their wallets. 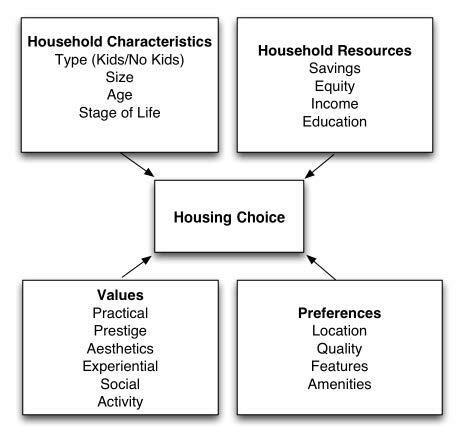 For example, a developer might have several product lines in a specific price band, but the product types offered in that price band may vary significantly to include a range of home configurations suitable for different household compositions and lifestyles. Within a $50,000 price band, a developer may offer three different lot types: narrow across the front but deep, square-shaped, and wide and shallow. All three of these lot shapes may be the same size, but they accommodate different house footprints that allow for a variety of floorplan configurations. This helps address the challenge multiple builders might have delivering highly differentiated product types in similar size/price bands on the same lot shape/size. 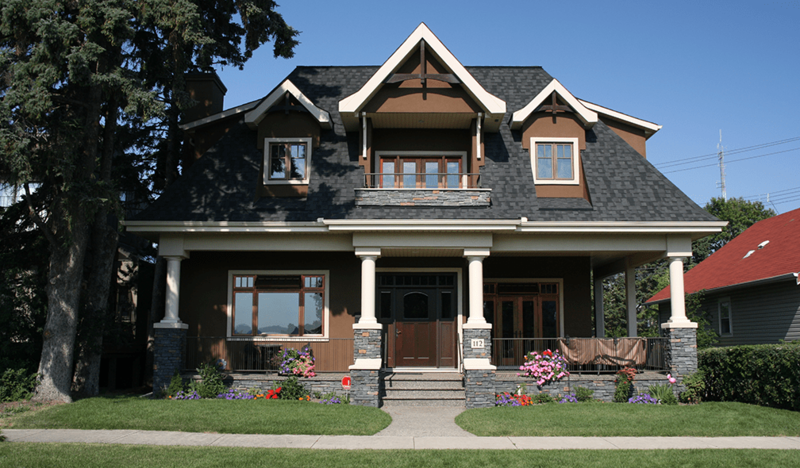 Alternatively, a developer might build a higher-density product in the same price band as a larger lot product, but increase the overall level of finish to appeal to consumers seeking a high-quality, but low maintenance, home at a similar price point as a larger home on a larger lot. Product innovations that respond to changing market needs are important elements of a good segmentation strategy. This is a responsibility of both the builder and the developer, as demonstrated by Newland Communities and Garman Homes at Wendell Falls, a 1,115-acre master-planned community in Wendell, N.C. Newland is one of the largest and most successful developers of MPCs in the U.S. and is recognized for its excellence in innovation and residential development. Wendell Falls is located on the east side of Raleigh, an emerging area with limited new development. Malee Tobias, Senior Vice President, Marketing & Research, at Newland, says that “Through our deep research and customer intel, we understood the tremendous potential of millennials as a major segment of the buyer profile at Wendell Falls, given the demographics of the buyer pool, the community’s close proximity to downtown Raleigh, and relatively affordable pricing. Of course millennials are not a monolithic group, so as part of our segmentation strategy, we have focused on providing a variety of product opportunities that cater to the diverse needs, lifestyles, and budgets of younger buyers.” Fresh Paint by Garman Homes at Wendell Falls is a good example of a product opportunity that increased sales by expanding the segmentation to cater to a specific market niche. It is specifically designed to appeal to millennials, offering an attractive mix of affordable pre-built homes with the opportunity to personalize by choosing from a variety of interior design packages prepared by Garman’s professional staff. Alaina Money, Division President of Garman Homes, says that “Fresh Paint is inspired by the idea that we can build a production home that looks and feels more like a boutique or custom home. Our approach is to prioritize simplicity; we curated whole home design packages, minimize the decision-making process, and boil it down to just a few easy choices.” Since introducing their Fresh Paint brand, Garman has doubled their sales in the Raleigh market area. Empty nester boomers have also been attracted to the concept. “Smart builders look for interior design ‘hooks’ that appeal to the consumer, thus separating their homes form the competition at a ‘finer’ level of segmentation. The consumer and demographic research builders and developers are undertaking with companies like RCLCO provides insight for designs that live the way consumers envision their next house,” says Nick Lehnert, Executive Director of Design with KTGY Architects. Demographic changes are driving the need for more sophisticated product segmentation. Millennials currently represent a third of all home buyers, and their share of the market is growing. 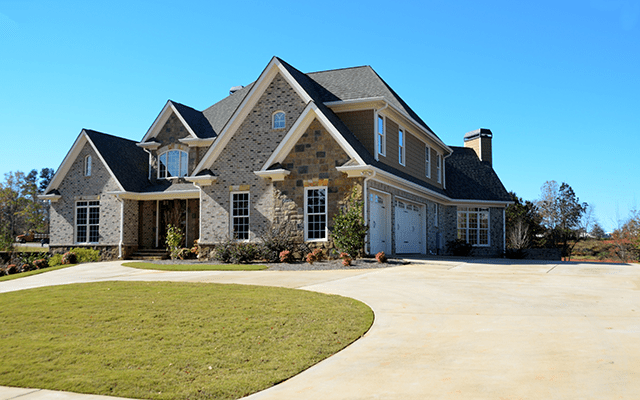 They are motivated to buy new homes with better designs and new home technology, and they seek opportunities to make the home theirs even if true customization is out of their price range. 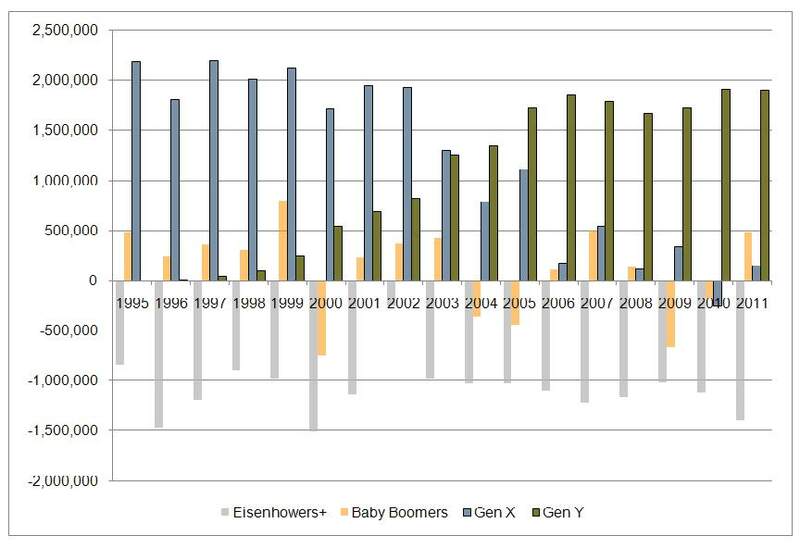 Aging boomers are another major market segment with evolving needs and preferences. 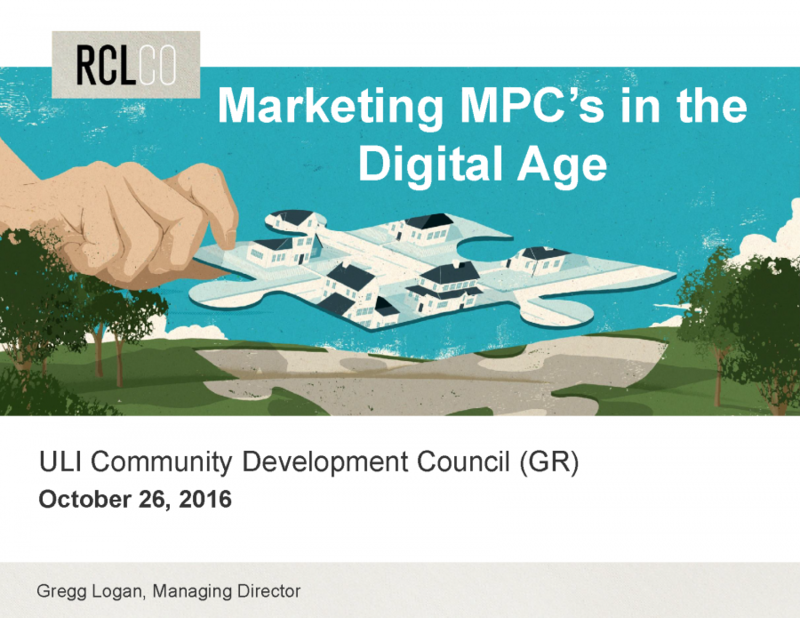 Thus, conventional home designs and neighborhood or “village” plans within MPCs need to be reconsidered relative to how retiring baby boomers want to live at this point in their lives. 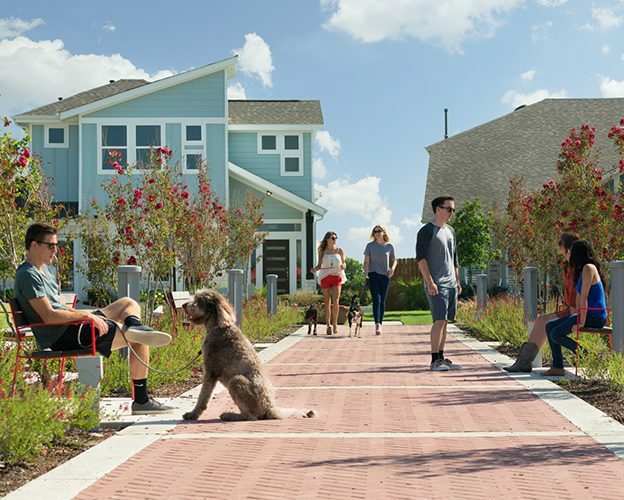 Innovative community concepts or enclaves located within larger master-planned communities are also gaining traction in response to these changing demographics, and offer additional opportunities to appeal to varying lifestyle needs of different buyer segments. 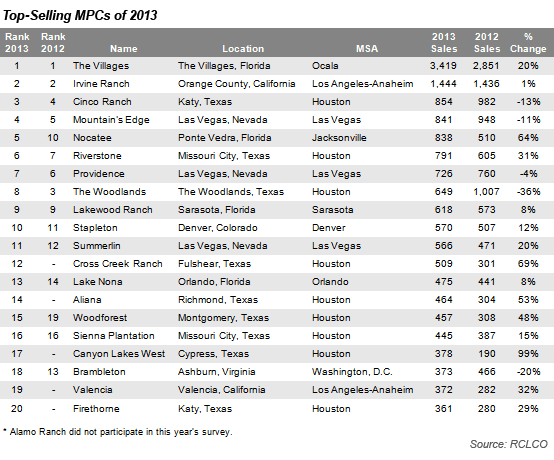 Active adult communities within master-planned communities have long been implemented as separate gated communities at large MPCs, but more recently smaller active adult communities within the community are also being introduced. 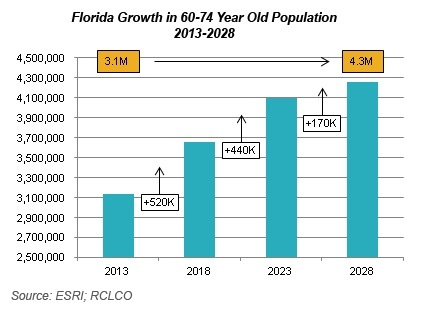 This is due to the recognition that segments of both the empty nester and retiree market audiences, while not interested in conventional large-scale retirement communities, are attracted to smaller-scale communities designed for them within a larger MPC. 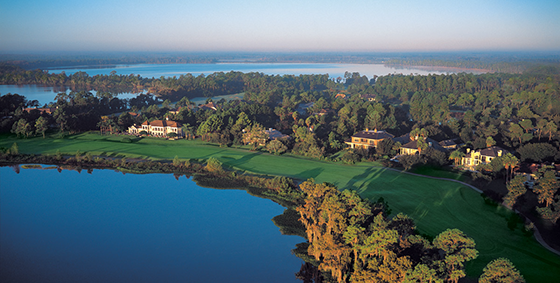 David Weekley’s 240-unit Encore active adult enclave at Newland’s FishHawk Ranch near Tampa, Florida, is a good example of this—55+ homebuyers can utilize the larger MPC’s amenities but still have homes designed specifically for them, with their own separate pool, clubhouse, and programming. Canyonside, a detached condominium garden home neighborhood developed by Ash Creek Homes in the Falconhead West MPC west of Austin, Texas, is another successful example of a unique enclave offered within an MPC. Canyonside is Ash Creek’s fourth detached condominium home enclave in Falconhead/Falconhead West, and is primarily targeted to empty nesters, but also appeals to professional singles/couples and some families seeking a low-maintenance lifestyle. These communities are positioned as lock and leave developments, with all yard maintenance and upkeep covered by the HOA, and typically feature a small amenity center containing a pavilion, fire pit, and small swimming pool. These communities offer single-family homes at five to seven units per acre on unconventional lot sizes and shapes that allow for interesting sightlines and privacy given the varying home orientations on each lot. 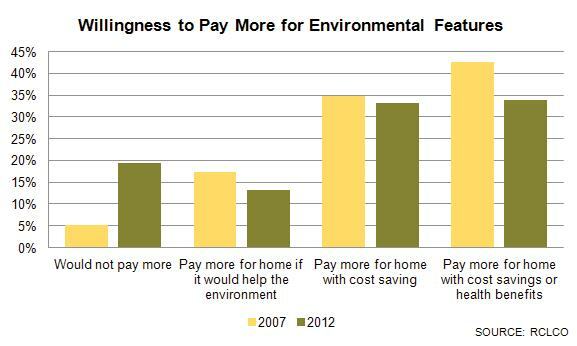 In addition, the interior finishes are much higher than comparably sized homes (1,400-2,000 square feet) in value-oriented communities and are also built to green standards, which keep utility bills low for residents. 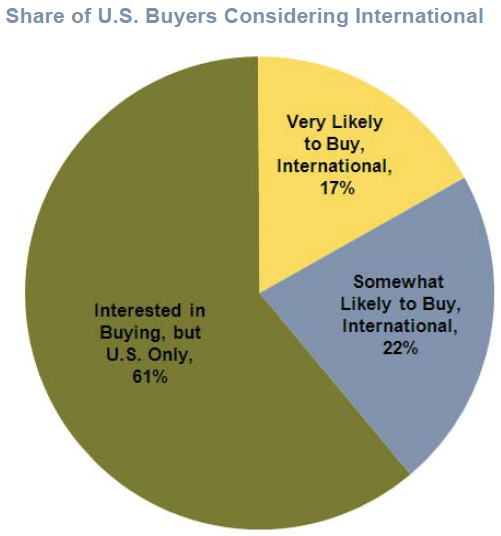 Builders and developers have many opportunities to diversify development programs and expand market share by responding to the unique characteristics of the market audiences being served. 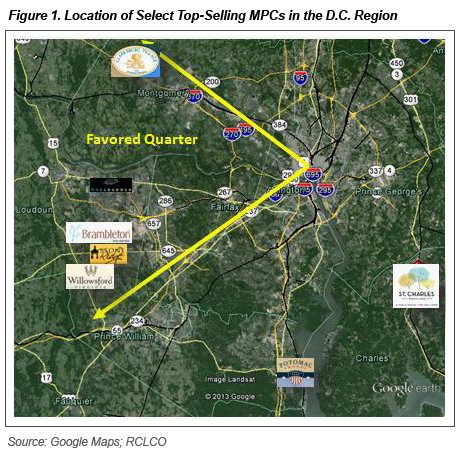 RCLCO is pleased to have the opportunity to collaborate with many master plans around the country to prepare and translate research into actionable product segmentation strategies that maximize sales absorption and value.